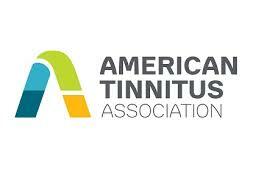 American Tinnitus Association - The nonprofit American Tinnitus Association is the nation’s foremost organization working to cure tinnitus. Our board and staff work with researchers, tinnitus sufferers, donors, legislators and other concerned individuals to support vital tinnitus research. The researchers we fund work hard to discover the sources of tinnitus, to identify the best methods that will help people cope with their tinnitus and, especially, to find a cure for this often devastating condition. Audiology Awareness Campaign - The Audiology Awareness Campaign (AAC) is a non-profit organization founded by by five professional audiology organizations who set up this site with two goals in mind: 1) Help persons find information about hearing loss 2) Let people know that the profession of audiology is dedicated to giving them the best professional hearing health care service available. 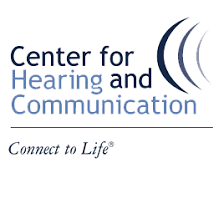 Center for Hearing and Communication (formerly the League for the Hard of Hearing) - A leading hearing center offering state-of-the-art hearing testing and hearing aid fitting, speech therapy and a full range of services for people of all ages with hearing loss. Visit our offices in New York City and Ft. Lauderdale for services that meet all of your hearing and communication needs. 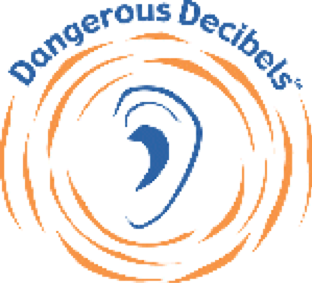 The Dangerous Decibels project is a public health campaign designed to reduce the incidence and prevalence of Noise Induced Hearing Loss (NIHL) and tinnitus (ringing in the ear) by changing knowledge, attitudes, and behaviors of school-aged children. The project is built upon an innovative collaboration between basic science researchers, clinicians, museum educators, health communication experts, civic leaders, teachers, public health professionals, and volunteers in a unique public/private partnership. 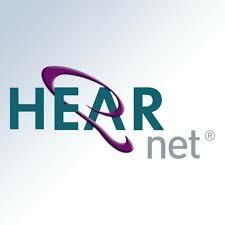 Current partners are the Oregon Hearing Research Center at the Oregon Health & Science University (OHSU) and Portland State University (Department of Health Communications), and University of Northern Colorado. Hearnet- H.E.A.R. 's mission is the prevention of hearing loss and tinnitus among musicians and music fans (especially teens) through education awareness and grassroots outreach advocacy. H.E.A.R. (Hearing Education and Awareness for Rockers) is a non-profit volunteer organization dedicated to raising awareness of the real dangers of repeated exposure to excessive noise levels from music which can lead to permanent, and sometimes debilitating, hearing loss and tinnitus. Damage from loud sound can occur from playing music, attending concerts, dance clubs, raves, using stereo earphones, playing amplified systems too loudly, or other noisy activities. We're here for musicians, DJs, sound engineers, music fans (especially teens) and anyone needing help with their hearing. House Ear Institute - Welcome to the House Ear Institute! HEI is a 501-(c)3 private nonprofit foundation with a threefold mission of otology Education, Research, and Global Health, “so all may hear.” The House Clinic, the Los Angeles otology, neurotology, and skull base surgery medical practice, may be found at www.houseclinic.com. Founded in 1946 by Howard P. House, MD, and headquartered in Los Angeles, California, House Ear Institute has been and continues to be at the forefront of new discoveries and applications of clinical and translational research in otology (ear medicine) and skull base surgery. Noise Free America - Noise Free America is a Coalition to Promote Quiet has written a book on illegal motorcycle noise. It is a visual guide to illegal motorcycle equipment, intended to make it easier for law enforcement officials to identify illegal equipment and thus issue more citations. Please order the book, read the book, and recommend it to your local law enforcement agencies. Noise Pollution Clearinghouse- The mission of the Noise Pollution Clearinghouse is to create more civil cities and more natural rural and wilderness areas by reducing noise pollution at the source. 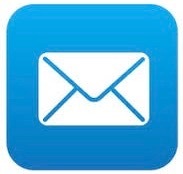 ​Sight and Hearing Association- The Sight & Hearing Association is a nonprofit organization with a mission to enable lifetime learning by identifying preventable loss of vision and hearing in children.